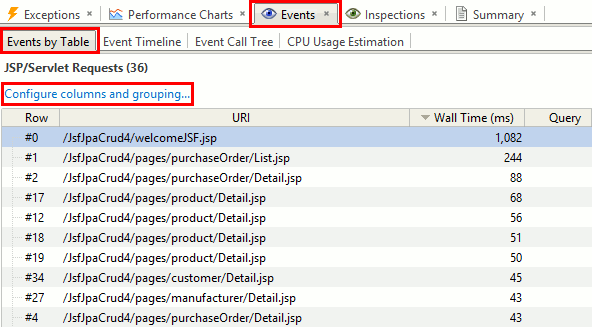 Number of events in table is shown in the title. Table columns. Grouping and visibility. 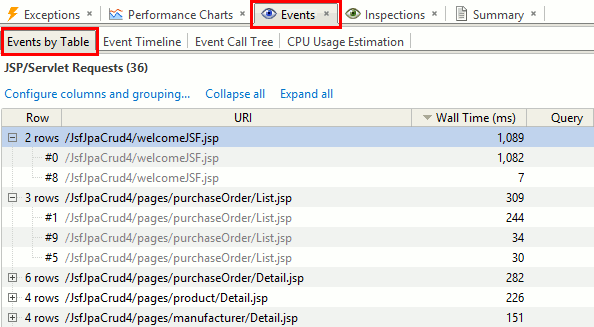 Events can be presented as a plain list, as well as grouped by arbitrary column(s). 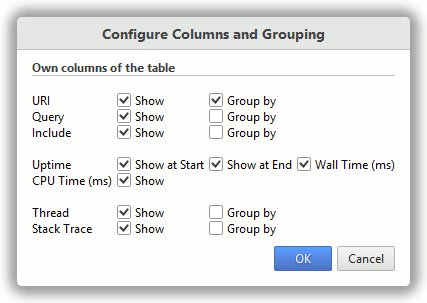 For each group you can see sum, minimum and maximum values for numeric columns. In addition to own table columns, you can also get statistics on associated rows of dependent columns: the number of the rows, as well as sum, minimum and maximum values of the dependent table's metrics. Also, you can hide columns to give more space for others.